Three final year Camberwell students are celebrating being selected for creative magazine It’s Nice That’s Graduates 2015 showcase. BA Illustration grads Anna Skeels and Alexander James Wood and BA Painting’s Lewis Henderson were three of the 16 artists deemed by the publication as “the most exciting students graduating from UK art and design courses” this year. 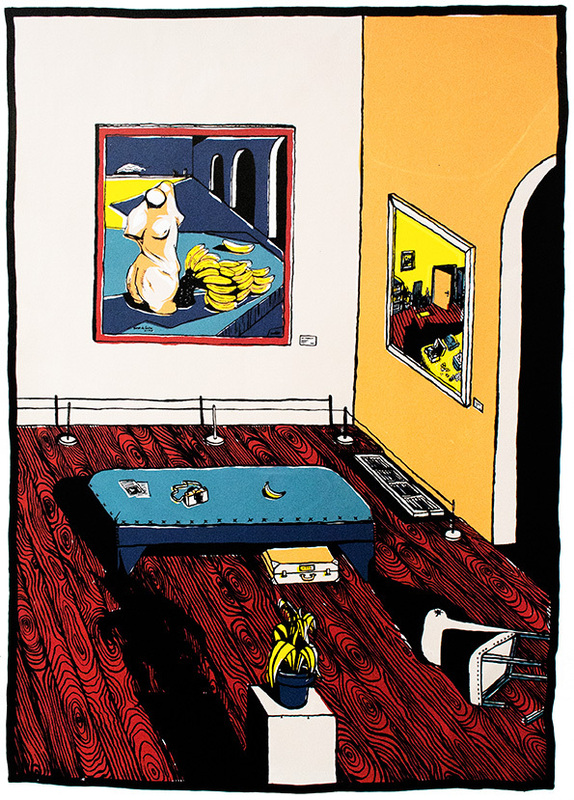 Screenprint by Alexander James Wood. Each of the students is interviewed on the site about their work and their time at Camberwell. Alexander James Wood talks about how much he enjoyed the final year of his degree: “I was making work I was happy with because I’d had the time and the freedom to find out exactly how to do it.” You can read the full interview on his profile page. Zip! Jump! Woo! by Lewis John Henderson. Find out more about the other It’s Nice That Graduates 2015 on their website. 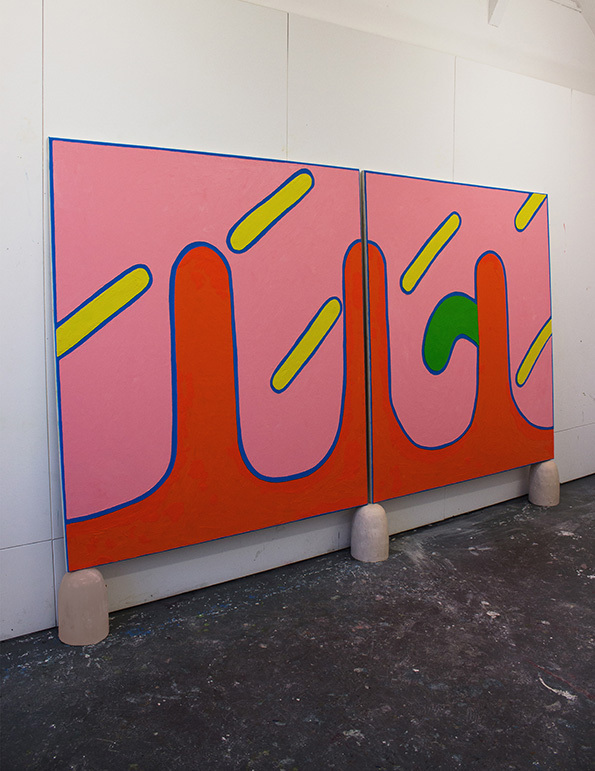 Find out more about studying BA Painting at Camberwell on our course page.